Oral hygiene maintains healthy teeth and gums. Really, it's the mainstay of preventive dentistry, and it starts with you, the dental patient. At Ajax Dental Centre, Dr. Saeid Jafarpour, Dr. Kevin Kwong, and Dr. Azza Elhaddad, your Ajax, ON, dentists, want you to understand what good oral hygiene habits are so you have a smile that lasts and looks great. You know they're important, but are you doing them correctly? Well, the Canadian Dental Association (CDA) says that brushing twice a day for two minutes is the minimum. Choose a soft-bristled brush, and use a fluoride toothpaste with the CDA Seal for best results. Floss once a day with the product that suits you best. Strand floss, Y-flossers, interproximal brushes and water flossers are popular choices. Most people floss at bedtime. What's the point of these tried and true hygiene practices? Both combat bad breath and dental stains. Additionally, they remove soft, sticky plaque formed from carbohydrate-based food residues. Left alone, plaque hardens into tartar, or calculus. Both plaque and tartar contain oral bacteria which actively secrete corrosive acids, the bottom-line cause of tooth decay, gum disease and ultimately, tooth loss. Yes, what you eat and drink are part of oral hygiene. Be sure to limit processed sugars, and increase your water intake. Reduce between-meal snacking, and if you smoke, please see your primary care physician for a tobacco cessation program. Cigarettes and smokeless tobacco contain dangerous toxins which degrade tooth enamel, gum tissue, and underlying bone. Plus, both increase the incidence of oral cancer, says the American Cancer Society. At Ajax Dental Centre, your professional team asks to see you semi-annually for your oral examination and hygienic cleaning. During your cleaning, your hygienist will scale your teeth to remove any plaque and tartar you miss with your home hygiene. Also, she'll polish your teeth with a rotary brush and mildly abrasive toothpaste. 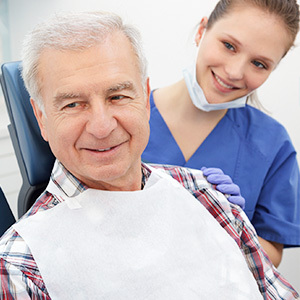 Finally, your hygienist and your Ajax dentist will tell you ways to improve your home care. They may suggest a new floss, show you where you should clean your teeth more carefully or demonstrate the best way to brush your new porcelain veneers or crown. Your good oral hygiene pays big dividends. Dr. Jafarpour, Dr. Kwong, and Dr. Elhaddad look forward to helping you keep a sparkling, healthy smile for life. 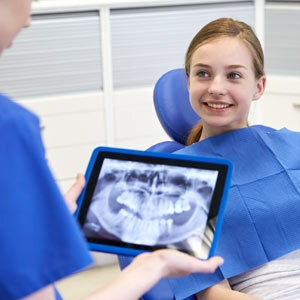 Call Ajax Dental Centre today for your routine cleaning and exam: (905) 426-8304.